When Carlos Sainz said that if he couldn't move up to the Red Bull team he would be making other plans, he knew it was not going to go down well with his bosses. Never mind that Christian Horner was first to criticise the Spaniard, reminding him that it was Red Bull that had financed his rise through the ranks and brought him to F1, it was the reaction of the Lord High Executioner, Helmut Marko, that everyone waited on. And he didn't disappoint. The Austrian, who reports directly to Red Bull owner Dietrich Mateschitz, and is legendary for his brusque no-nonsense approach, echoed Horner's comments but with added menace. Sainz was going nowhere. 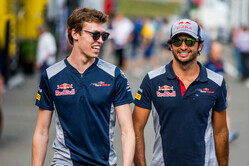 Asked if his move was a calculated risk, Sainz told the official F1 website: "Was it calculated risk from my side! I have my opinion and I said it in that very moment. "Maybe I could have used a different wording," he admits. "It is not something that I enjoyed, seeing Helmut Marko and Christian Horner going against me, but it sometimes happens in a Formula One career. But it should be over, so turn the page!" But going up against Marko, of all people, took guts. "Well, I can understand that point, yes," he admits. "But from my side there is nothing else than sheer ambition. And sometimes in the heat of ambition you say things. But that is me! I do have targets and objectives. "My one and only target to be a Red Bull driver in the future," he insists. "That is what I want, and that is what I have said a hundred times before. And if one answer said in the heat of the moment is spinning out of control, that is just 'modern times'!" 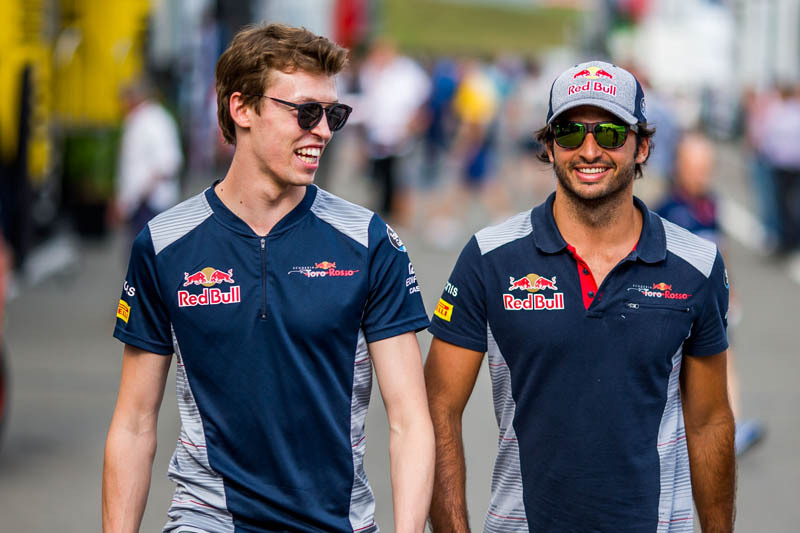 Talking of "spinning out of control", other than Horner and the infamous Marko, Sainz' relationship with teammate Daniil Kvyat has had its moments this season, not least the first lap clash at Silverstone. "The team is doing its job by telling the two of us that they are not happy about it, and trying to make sure that it does not happen again," he says. It is a situation that can happen once in a lifetime. It happened in Silverstone... and I hope that was my 'one time'. "(Silverstone) started already with issues in qualifying so I wanted to put everything into the race," he adds. "So retiring on lap one from something out of your control is sure not how you want to end a race weekend!" Asked if the clash was a relationship killer as far as he and Kvyat are concerned, he replies: "In that very moment it sure was a 'killer'. But time smooths things... the classic saying that time is a great healer. "After one or two weeks you are able to turn the page and stop thinking about it, at least it should work that way! "We are both mature enough to be able to turn the page. We know each other very well and for many years, we had similar situations in lower categories. We move on to new shores! Finally, he is asked about the Halo. "I am sure every driver has his own opinion," he says. "Mine is: I don't like that halo, but I think it is necessary! We have to get used to it – or the FIA together with the teams have to keep developing to make it look better. "I have tried it last year in Spa and had no problems with the view but it was an issue for me of how comfortable it is to get in and out of the car. I reported that to the FIA to see if they could do something about it. The FIA has asked all drivers about their experience and opinion and I think all of us handed in a small report." "Sainz needs a P45. He's reckless, dangerous and arrogant."